At Vanderbilt, our patients' safety comes first. We go to great lengths to make our facilities clean and safe, and our faculty and staff follow proven practices for infection control. We have one of the nation's most rigorous hand hygiene programs in place, and we strive every day to get better. 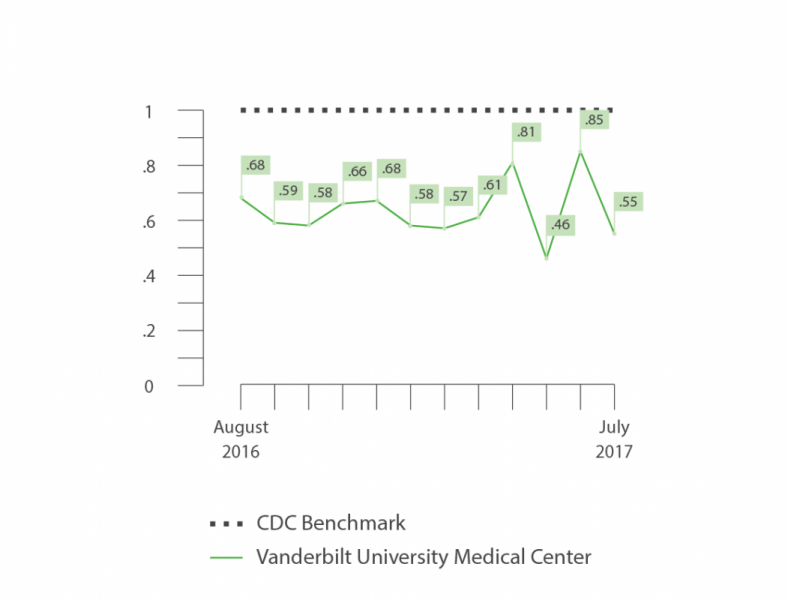 The graph below shows the rate of healthcare-associated infection at Vanderbilt University Medical Center from August 2016-July 2017. Compared to the national average, we are successful at protecting our patients from infection. However, our goal is perfection. Learn more about what we're doing to improve.